LiveCode LessonsLiveCode LessonsHow To - Step-By-Step Guides To Tasks In LiveCode Working with filesHow do I rename the headers on a text file? When working with data imported from external files you need to be able to import, modify and export the data. 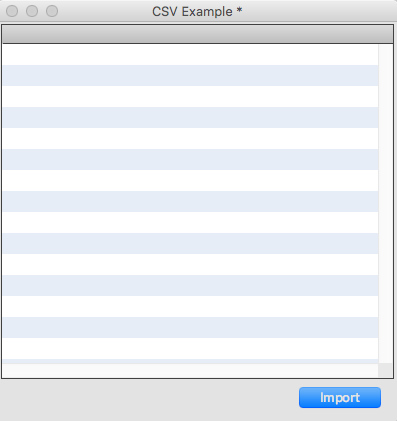 In this lesson we will look at importing a csv file and renaming the headers. Text processing of this kind is an area of particular strength for LiveCode. First lets make the interface for importing and displaying the csv file. Open a new stack and add a field, called "text" and a button called "import". We need to allow the user to choose a file to import. We use the answer file command to display a dialog allowing the user to choose a file. 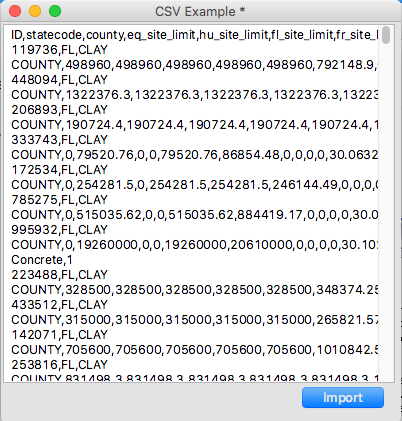 We can use answer file with type to ensure that only CSV files are displayed. We check the result function to make sure the user has not cancelled the dialog. If the dialog has not been cancelled the filename of the file they have chosen is put into the it variable. We will put the value into the variable tFileName so we can use it later. 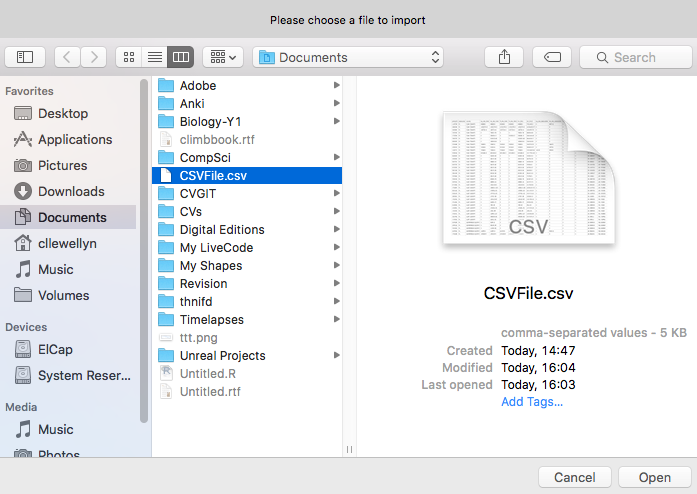 answer file "Please choose a file to import" with type "Comma Separated Values|csv|CSV"
The previous step gave us the path to the file we want to display, but not the actual data. To get the contents of the file we can use the URL keyword. We add a line to the script of our button to get the contents of the file and put them in a variable, we then add another line to put the file contents into the field. put tFileContents into field "text"
At this stage we want to rename the headers of our file, perhaps to remove spaces from the headers. There are a number of ways to do this in LiveCode, the simplest is to edit the field manually, but if you were using a non-editable field to display the data you could use the replace command. This replaces one piece of text with another piece of text. 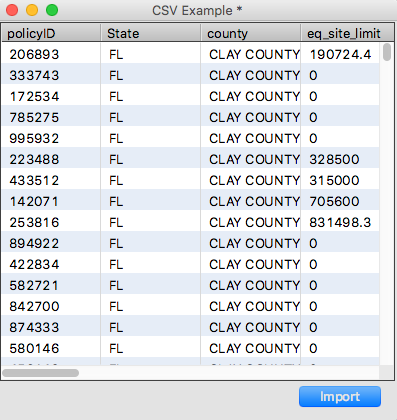 replace "policy ID" with "ID" in field "text"
As you can see the column header has been changed in the field. You have to be careful when using replace because it will replace all instances of the given text with the new text. We only want to replace the column header so if we want to be a little more careful we can modify our LiveCode to only look at the first line of the field. 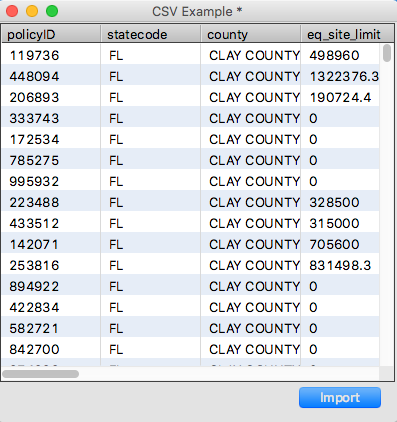 replace "policy ID" with "ID" in line 1 of field "text"
This means if the text "policy ID" appears anywhere else in the field it won't be replaced. Firstly lets remove our field and add a data grid instead, we will name it "text" again. Choosing the file works the same way as before but now we need to do a little extra work to display the data, not much though. To display our data in the data grid we set the dgText property of the data grid. The dgText is tab separated so we need to replace our commas with tabs. We will also specify that the first line of the data contains the column headers, all the data will then be assigned to the appropriate column depending on the first line. We pass the value true for the parameter pFirstLineContainsHeaders of dgText. Renaming a column in a data grid is very simple, just a single line of LiveCode. Again you can execute this line in the message box, or you could add a button. 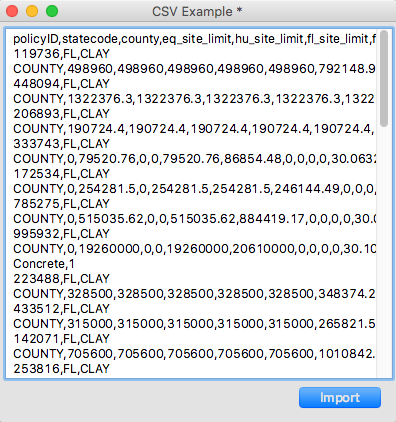 set dgColumnName ["statecode"] of group "text" to "State"
Prev: How Do I Process a Binary File? Next: How do I export a csv file?